Brendan Healy is the Canadian Stage's new artistic director. 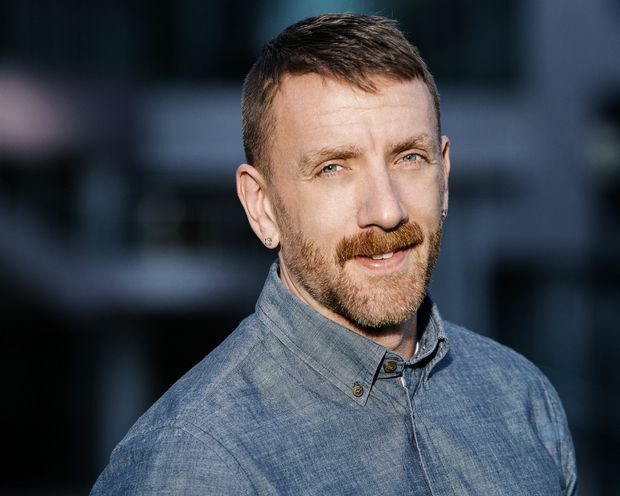 After an extensive international search for a candidate, Canadian Stage has chosen Brendan Healy as its new artistic director. The Montreal native, who served from 2009 to 2015 as the artistic director of Toronto’s Buddies in Bad Times Theatre, replaces Matthew Jocelyn, who left the not-for-profit performing-arts organization on good terms last month after a monumental nine-year reign. In addition to being Canadian Stage’s artistic head, Jocelyn also served as the company’s executive director. The search to fill that position is now under way. Healy, 43, comes to Canadian Stage from his role as artistic director, performing arts, for the City of Brampton, where he oversaw four municipal performing-arts venues (including the Rose Theatre) as well as their programming (including music, theatre, dance and comedy) and educational outreach initiatives. Healy was an actor before dedicating his career to directing. After interning with the experimental theatre director and playwright Richard Maxwell in New York, he attended the National Theatre School’s Directing Program in Montreal and trained with American avant-garde pioneer Anne Bogart and the SITI Company before relocating to Toronto more than a decade ago. At Buddies, a theatre known for its provocative works and dedication to the promotion of queer theatrical expression, Healy developed a reputation as a collaborative artistic director with a taste for bold programming that tackled socially relevant topics. Notable productions under his reign included including PIG, The Gay Heritage Project, Obaaberima, Of A Monstrous Child: a gaga musical, The Silicone Diaries and Blasted. Healy left Buddies in 2015 to pursue a Masters in International Arts Management, a program jointly offered by HEC Montreal, Southern Methodist University (in Dallas) and SDA Bocconi (Milan). The degree figured in his Canadian Stage hiring. Healy steps into his new role with a chunk of next season’s programming already completed. Asked which show in the current Canadian Stage season might be representative of the type of programming he would bring to the company, Healy pointed to Xenos, expected to be the final solo performance work by Akram Khan, the renowned British dance artist of Bangladeshi descent. Canadian playwright Jordan Tannahill provided the text for the piece, which will be performed at Bluma Appel Theatre from Oct. 18 to 21. Editor’s note: The National Theatre School is in Montreal, not Ottawa. This version has been corrected.